So, it looks as though you no longer will have to be a friend of a friend, or trawl the forums begging for invites for the +OnePlus phone. In an article on their site they detail why they did the invite system and give some brief details how the new pre-order system will work. It doesn't specify 'when', or if the price will change accordingly. the invite system has been a blessing. Let me explain. Launching something is difficult. To control risk, many software companies usually do gradual rollouts. While we think like a software company, scaling a hardware business is very different. The biggest difference is inventory risk. So that explains why the tight reins on the system of the invite. But it looks like they've given themselves the breathing room and will open up for the pre-order style. How will it work? 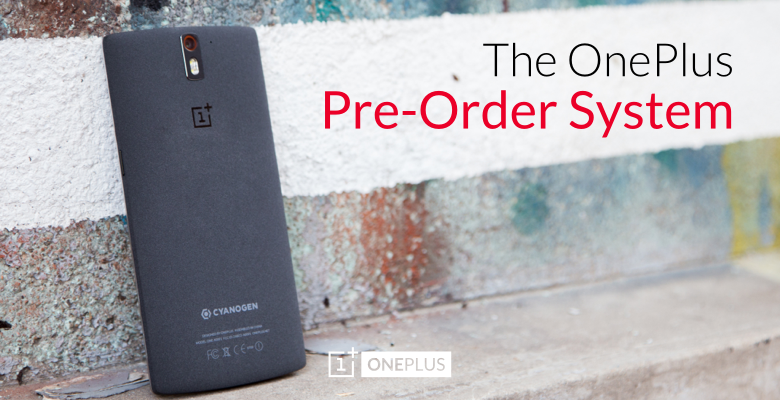 During a limited time window, you will be able to place an order for the OnePlus One. If we have the items in stock, we’ll ship immediately. If we don’t, it will automatically become a pre-order. No matter what, we’ll always tell you our best approximation for when it will ship before you submit the payment authorization (we’ll reserve the payment and charge you when we ship). If you receive an invite while waiting for a pre-order to ship, you can apply it to skip the pre-order queue and have your order shipped immediately. So there you go... now we just have to wait for word from them about when this will happen. Hopefully for those that have patiently waited it's not going to disappear faster than Nexus devices on launch days, or that Moto 360 order minute window. Are you going to buy now that it's more easily available?